Looking to bake up the perfect new kitchen design? Talk to the team at ProSource® of Honolulu. We can help you create a kitchen that has a functional flow, allowing your clients to enjoy the use of their kitchen more. We can also help you design a kitchen that is attractive and matches their unique personality and style. Come see us today to be inspired as you browse our extensive selection of kitchen remodeling products at wholesale pricing. Help your client organize their kitchen with the right cabinet space. 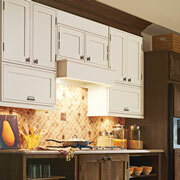 We provide kitchen cabinets in every style, color, and design imaginable. Browse our selection today to pick out the perfect cabinets to make your client’s kitchen space more usable. Looking for the perfect finishing touch for your client’s new cabinets? 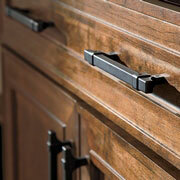 Check out the extensive selection of cabinet hardware we carry. We can help you find handles, knobs, pulls, and more. A stunning marble countertop can immediately improve the value and appearance of a kitchen. Beautiful quartz can add a unique flair. 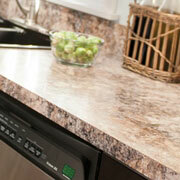 Shop our countertops and find the right fit for your next kitchen remodel. Looking for a unique kitchen sink designed with composite granite materials? Want a large prep sink for a busy family? 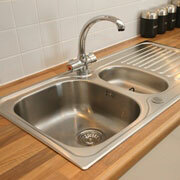 We can assist you in picking out the perfect kitchen sink for your client’s needs. 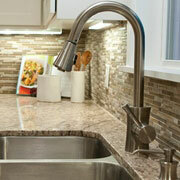 A kitchen faucet puts the finishing touches on your client’s new sink. We carry the top brands you trust so you can provide your client with a faucet they can rely on for years to come.